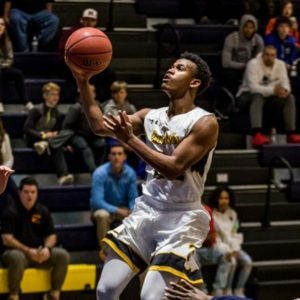 HICKORY – Nas Tyson, the all-time leading scorer in Forest Hill High boys’ basketball, has signed to play basketball next season at Lenoir-Rhyne University. Tyson, a 6-foot-1 guard, scored 2,169 points for the Yellow Jackets as a four-time all-league player and was the Rocky River 2A Player of the Year three times. Forest Hills won the state 2A title in Tyson’s junior season and lost in last season’s state 2A final. “We are excited to add Nas Tyson to our program,” LRU head coach Everick Sullivan said in a press release. “Nas has been well coached and enjoyed extreme success playing for Coach Matt Sides at Forest Hills. LRU won 21 games last season, advancing to the NCAA Division II tournament for the first time since 2016 and for the sixth time in school history.